Made with 40% milk fat and gently pasteurized for farm-fresh flavor. Whip up something wonderful! 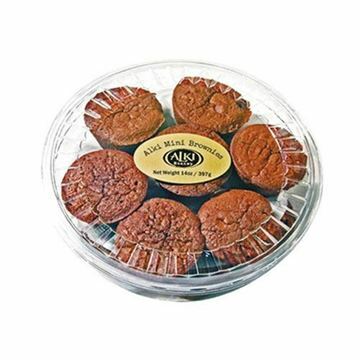 Our heavy whipping cream makes the best whipped cream to top your dessert masterpieces! Made with a higher milk fat content than what you'll buy at the grocery store for richer, more creamy texture. All of our milk comes from cows not treated with rBST. Add to your order today! 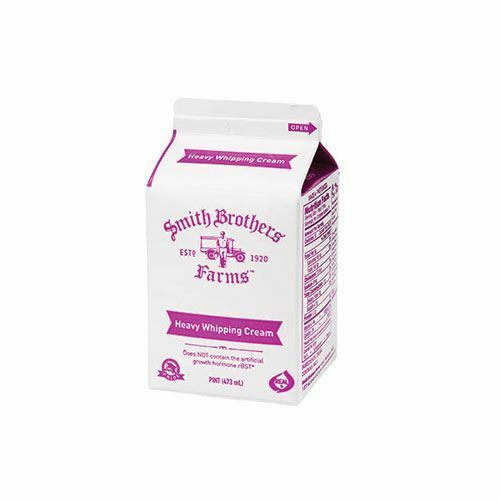 Smith Brothers Whipping Cream is so fresh- it tastes amazing whipped up with just a dash of confectioners sugar. After using Smith Brothers cream, I can tell the difference in taste with any grocery store whipping cream (cartons, not bottles). We love smith brothers! Reminds me of the heavy cream my grandmother used to make her sugar cookies back in Montana. She got it from local farmers. It was so thick you had to spoon it, and it was sweet. Haven't been able to make them the same until now. Thank you! old fashioned whipping cream just like Mom used to make! This is the BEST whipping cream! I add a little sugar and a few drops of vanilla when I mix it up. If you like it with more spice it is also delicious with a sprinkle of cinnamon added in. My kids love it and always notice when I make homemade whipping cream, so much better than the spray can type. I have been a Smith Brothers customer for years, but ordered their heavy whipping cream for the first time last week. I used it to make whipped cream for ice cream sundaes and WOW! My whole family noticed a difference in the quality of the whipped cream I made. It was creamier, better tasting, and whipped up really fast. I can't believe I waited so long to buy this.